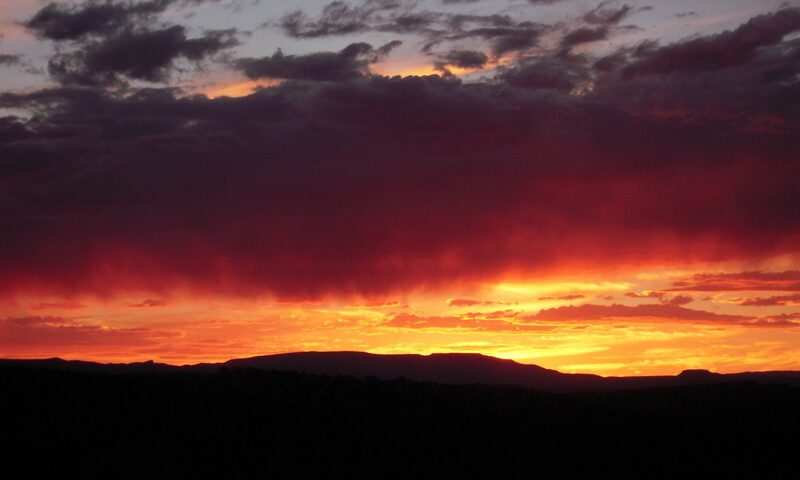 From Tularosa we ride north on US54 to Carrizozo and then west on US380 four miles to Valley of Fires, a BLM campground on a narrow finger of high ground poking into the the 125-square mile lava flow that covers much of the northern Tularosa Basin. Campsites are clean and well-spaced, with picnic tables, fire rings, and sun shelters. The lower sites provide some protection from the wind, while those on the bluff offer spectacular views. With the San Andres and Oscura Mountains closed off to the public, the closest to experiencing the country as Nana and Lt. Guilfoyle did is a tour of the Carrizozo Land Partnership, a BLM experiment in offering limited access to the back country. The agency claims controlled access was demanded by landowners, but a local rancher says the feds wanted the closure either to protect the herds of Oryx and Bighorn Sheep in the Oscuras from poachers or to keep spies away from the northern borders of the Missile Range, where the military is testing new, top secret weapon systems. Stop off at the Valley of Fires CG office to pick up a permission slip (and the gatelock combination code). 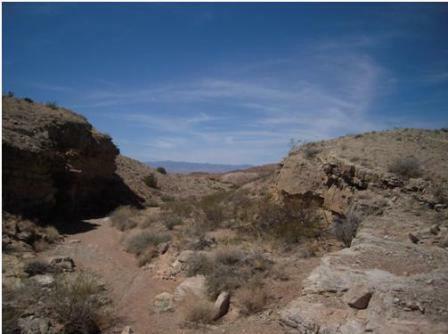 The “roads” marked on the BLM map are jeep trails at best, frequently petering out into mere cattle tracks. A high clearance 4WD is a necessity, and top speed is no more than 5-10 mph. To get a feel for what it was like to travel this country on horseback, drive it with the AC off and the windows down, choking on the clouds of fine dust churned up by your passage. 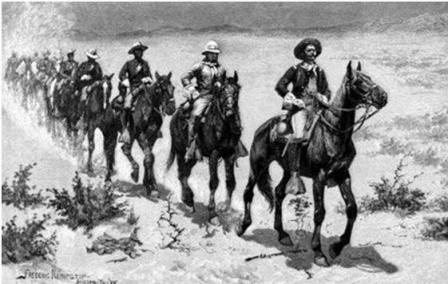 After the skirmish in the San Andres, Guilfoyle and his men continued the pursuit west across the Jornada del Muerto, crossing the new railroad tracks near Round Mountain (not the one east of Tularosa, but another peak of the same name) and on through the canyons of the Fra Cristόbal mountains to the Rio Grande. Today that route is barred by the locked gates of Ted Turner’s Armendaris Ranch – where, as on all that philanthropic billionaire’s private properties across the West, trespassing is strictly forbidden. 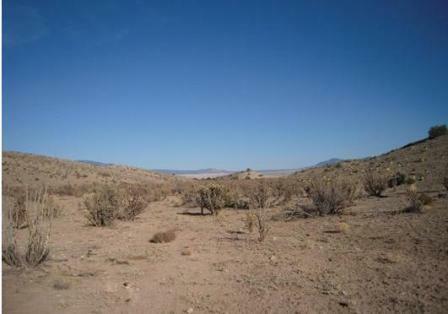 Instead, our path from Valley of Fires and the Carrizozo Land Partnership side trip lies straight west on US380. Straight ahead is San Antonio, where – depending on time of day – you’ll want to stop for a green chile cheeseburger and a cold drink. Opinion is divided as to whether the Elkhorn or the Owl Café offers the best burger. My vote is the Elkhorn. If you’re feeling less hungry and more adventurous, look sharp for the (poorly marked) turnoff to the Quebradas back country byway 11 miles east of San Antonio. “Quebradas” means “breaks” and the byway cuts across the network of arroyos that lead down to the Rio Grande to the west. Unpaved but generally well-maintained, the road was passable for a 2WD sedan the last time I passed that way, although I personally would feel more comfortable with a high-clearance 4WD. There are several spots to pull over and take a short walk to give you a “boots on the ground” feel for this country. 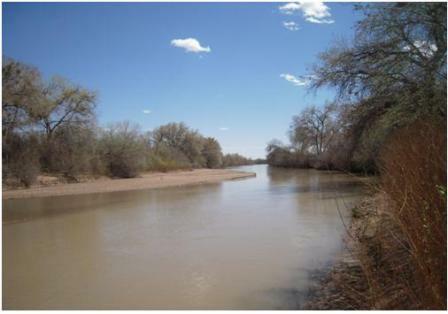 At its north end the Quebradas road crosses the Rio Grande on a bridge near Escondida. Although the river is neither swift nor particularly deep, it’s a treacherous crossing, with sudden potholes and stretches of quicksand invisible under the turbid silt-laden water. Before bridges were built in the early 20th Century, there were few reliable fords. Fort Craig was built near one of those crossings at Valverde, a few miles south of San Antonio. Today, little remains other than the stone-built ruins of the Commanding Officer’s Quarters and the guardhouse. Barracks, storehouses, stables and other buildings, all of adobe brick, are melting back into the earth they rose from, together with the extensive defensive works so laboriously built by New Mexico volunteers to defend the post from Confederate invasion. The earthworks distinguished Craig as one of the true fortified military posts in the West. Most Army “forts” were what we today would call a “forward operating base” designed to serve as supply point and tactical HQ to facilitate the deployment of aggressive patrols into the surrounding territory. As it happened, the Texans were suitably impressed by Craig’s bastions and instead bypassed the fort to fight a decisive battle at Valverde a few miles to the north. The rebels won the crossing and the Union forces retreated back to the fort, where Sibley left them while he continued north toward Albuquerque and Santa Fe. 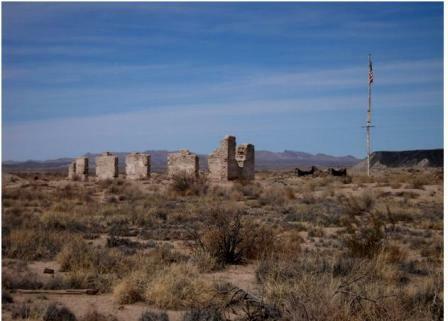 With Forts Selden, Cummings, Bayard and Bowie to the south and southwest and Fort Wingate to the northwest, Craig was part of a chain of military posts built by the Army to contain the troublesome Warm Springs Apache. Their ruins are an enduring testament to the intractable ferocity of a tribe that never mounted more than a few hundred warriors. Today even the graves of the soldiers who died serving here are gone (disinterred and moved to Santa Fe Nat’l Cemetery after grave robbers looted the post cemetery in search of buttons, cap badges, etc.). But the tiny visitor’s center provides an informative brochure and map, and a half hour’s walk, coupled with a vivid imagination, brings the site back to some evanescent semblance of life.